Have you ever had a day where you have wished that for one moment time would stop, just long enough to allow you to grab hold of everything that is going on and truely understand what is happening. I have worked in child protection for many years and rarely do you find time where you can reflect upon one specific family giving them all of your attention. For this reason I am glad that is protected time, where as a manager and as a Social Worker I can explore people thoughts and expanded on the grey and unknown areas. Although this is a good social work skill, reflecting and critically challenging your anylsis is so important and not always easy, especially with the first assessment, where you may be rushed or pushed to complete because of the pressure of meeting timescales, evasive families or what ever the reason may be assessment can be lost to the pressure of the timescale and any following assessments that have been referred back in. However, despite this I have been reminded recently that this is not always the case! As a manager I have had to learn to keep an eye on these timescales and ensure they dont slip, but also equally ensure that they are completed with the highest quality of standard to ensure the right outcome is reached – Not for me or my manager, but for the child within each family. Seeing the child, hearing the voice of the child and understanding their position within the family should be easy? After all, there is a multitude of tools, training designed to promote and engage the child to ensure at the mininum that they are given time and space to express their wishes and feelings. I had recently changed teams, I am starting to like change, I find it keeps my practice fresh and up to date but also more importantly it provides me a challenge! And in doing so I have had to open my eyes to a different way of working a different way of understanding. Risk still remains and plays a big part of my role in reviewing and approving assessments, but now there is a complex element that needs careful consideration and research. I have found myself being challenged by some of my new team who do not agree and this has had an affect on me, making me reflect upon my own practice, my own management style and how I present myself within the team, questioning the decisions that I am making. Concious, that equally they are going through the change process with me, as I challenge and tackle their own practice. However, no matter what, no matter how precious time is, I still cannot allow the child to be lost within the family and the assessment that I am presented. Furthermore, challenging the blank carpet statement that prevents and blinds the social worker to really unpicking and discovering where the support within a family is really needed or from creating the plan that supports the child in need or the child in need of protection. It has been a really long time since I last sat in front of my computer to even try and think about writing something, its been even longer since I have been able to think about anything else other than what I need to do just to do for tomorrow. It’s not because I have not wanted too, but because I have found that over the last couple of years there has been a subtle change in social work attitudes, leaving me tired on a daily basis from the daily pressures. Like many people I have had to consider my own position and my own well being and what this might be and I decided to make a big change and become a locum manager. Other than my first position I have enjoyed this change, I have been able to take on new positions and new teams and make changes. Social Work has continued to take a battering from the press and significantly from the government the drive to reduce spending has meant reduced services and more people relying on Social Care for support. For many in Social Work this is the ongoing process that happens on a regular occurrence. From this however has been a drive for a more direct engagement with high risk families and thoses families where there has been a history of social care involvement to tackle the route causes of the concerns raised. There are always lessons to learn from social work practice and that is especially important when hearing the voice of the child, but what is the real skill is challenging the views that children should be seen and not heard. A position which challenges many parenting styles but also makes social work anaylsis so important when assessing potential risk and potential harm. I have found that I have continued to enjoy working with social workers to challenge their thinking and their assessments and to ensure that practice develops. Where ever I have worked I have met lots of committed and hard working social workers who work long hours for very little gratitude, the problem being that no matter how much work you do there is always more to complete. Often it is the emotional impact of the tasks that I find where my support is most needed, where through tackling difficult conversations has lead to a very real recognition and acknowledgement of a parents own emotional well being. A start in a long journey to affect change but find a service that will be able to engage and continue the work needed. But often this has meant that my social workers have been left managing highly emotional and stressful situations and needing their own supervisions in order to be able to manage this effectively. When positive changes happen within a team and both performance figures rise, but also more importantly the moral of the workers rises and because of these changes that they are then making in families lives, I can feel happy in my role supporting them. It also makes the change a positive change for me it does mean that my skills are not used consistently in one place. For the past year I have been on a journey through Social Work, finding myself unhappy with myself and the work that I was doing. Like many Social Workers the long hours, stress and missing out on valuable family time put increased pressure on not only me but my family that could not carry on. 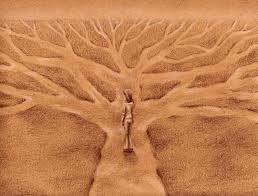 However, as I looked for change so did Social Work and I started to wonder whether the two would meet. Questioning my confidence to practice and manage, worrying whether quickly my circumstances would change and what this would mean for my family? I found that this added pressure just made everything worse; losing the passion and the enjoyment I once had in Social Work. Time quickly builds up momentum and I would hear daily how frustrated and under pressure my Social Workers were. Despite Social Work moving towards better outcomes and more direct work, I found myself working in an environment where the emphasis was still to get the ‘square peg into the round hole’ that looking into the whole picture was not encouraged to focus and comply with the guidance rather than what works best for each individual families. I found that my voice had become lost, that my arguments were laughed at and finally I found myself targeted for standing up to this. For the first time in my carer I was being questioned about my risk assessment skills! A low blow and one that I never recovered from. My manager informed me that it is not the plan that protects the children but the people involved in the plan. A great idea, but what it lacked was the understanding that you need to be able to identify the right resources and people first in order to create the plan. This type of ‘battery hen’ Social Work made me angry and you could see that the pressure was having an impact upon not just me but the Social Workers. This type of Social Work Practice requires and demands that each social worker works above and beyond what is already expected. It demands 100% compliance, no mistakes, no learning only action. ‘Get it into Court!’ I would often hear, despite the lack of Social Work Intervention, despite the lack of understanding of what it was like for the children or young person in that family! I have learnt that I do not enjoy change or that I like to admit defeat and that I can not do something or make a change. Sadly this year that I have learnt that I can change, I can admit I can not do something and that if I can not make a change or difference then I need to move on. It has grated on me, especially with the recent resurgence in the media about Social Work change and rebuilding the confidence in Society of the competence of Social Work Practice. Why? because where Social Work is allowed to work it can make a change, it can make a big difference. For many Social Workers there learning can be lost from University when they join a work place that focus on their compliance completely losing sight of their Social Work Practice rather than trying to work on both issues together. It has taken a while but I have not given up, I have found my focus again! So please do not give up, Social Work does make a difference and we are important in doing this. Have you ever sat in your office reflecting and thought about the amount of work that is required from you? You stop, look up and around you, you see time is flashing past; phone calls coming in from families, professionals, e-mails pinging into your inbox. I have had these thoughts and it has reminded me of a scene from the film ‘The Matrix’ where, the characters slow themselves down by controlling the computer coding within the matrix, in order to be able to control their surroundings and in one scene – dodge the speed of the bullets. I can often feel like this in my current role, the matrix code instead being the complex code in the world wide web is the complex amount of legislation, additional guidance, case law, private law and policies and procedures that social work tries to work within. Instead of bullets it is questions and they are fired in my direction all day. Many social workers will relate to the feeling they have everyday, of being completely overwhelmed and recognise that there will never be an ideal caseload that will prevent any person from this feeling. Since the review of Child Protection in the UK by Eileen Munro, there has been no escape of the review and public scrutiny of social services and children services. There has been no decline in the number of referrals to children services or early years intervention or in the number of children that come into care. There has however, been dramatic cuts in funding to services, changes in the terms and conditions of employment, training and support to social workers. Where working over your hours was offered by social workers as a good will gesture in order to improve the outcomes of the children and families they were working with, has now been taken as granted in order to achieve the targets so tightly set. It can feel suffocating as the timescales crash in, challenging assessment timescales to shrink to fit to court timescales. Further challenging the skills and assessments of social workers balancing the needs and demands of courts within the needs and wishes and feelings of vulnerable children and families. Social Work remains a complex serious of interventions based on communication, trust and learning of what it is like for the children to live within their home and family life. Of course, this involves skilled approach to break the quiet mistrust of the media stereotype image of social workers as child snatchers. As a manager within this process I have found myself being pulled in all directions (literally sometimes), challenging the workers with their practice, whilst supporting and developing their learning needs and experiences. Hoping, from role to role within the umbrella of my title; manager, coach, educator, mentor, support. Carefully managing the day to day crises and enabling the work to be completed. 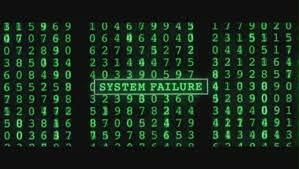 Sometimes I wish I did understand the matrix code, I would delete the strands that bring suffering to the vulnerable. And programme more support services, to provide the support and understanding needed. Removing the stigma of living in a dangerous environment and the feeling that you can not speak up for fear of your children being removed or harmed. Instead of a multi million pound movie, I will carry on working within the offices, homes, schools, children centres and courts I visit, challenging my practice and experience in order to ensure the decisions that are made safeguard and promote the right outcomes. Working in a busy and demanding frontline Child Protection team it has become clear that there is a haze around what Child Protection is; what is the responsibility around safeguarding and what is the Family Courts’ System role. It is not hard to understand how this has happened, when programmes like Panorama ‘I want my child back’ blur the complex and interesting debates together, making social work look like the evil big brother in a far bigger debate needed about safeguarding children. Like many people in society – until I studied in social work and worked in a variety of settings with children – I did not fully understand, appreciate or want to believe that children could be harmed. However, as a Child Protection social worker, understanding what is ‘actual’ harm or the ‘likelihood’ of harm is extremely important in what is Child Protection; when the referral is received deciding whether there is an immediate need to protect and act, to investigate whether there is a Child Protection concern or whether the child is “in need.” As defined by the Children Act 1989. I have found that it is becoming increasingly common that this social work task is becoming harder and harder. Professional anxiety around ‘what if’ and ‘this reminds me of X case!’ leaves the complex task of gathering the information and analysis even more difficult. As a social worker being presented with a picture of events, it is important to be able to see the entire picture to understand the situation. For example, a four-year old girl at nursery with a bruise on her arm and a statement of ‘Daddy did it’ raises anxieties. However, there are many dimensions that could make this statement either far more serious or far less sinister. It is very easy to be criticised for being overly cautious or overly zealous in an approach taken when you do not have the entire facts to help make this decision. It is for this reason ‘safeguarding’ is so important for all those involved in a child’s life. It is also for this reason that sometimes an answer cannot be gained to explain and identify harm and why, sometimes, decisions have to be made based on risk and probability. It is these decisions that often do not have an immediate positive outcome other than preventing possible serious harm to children – Where social workers are ‘damned if they do and damned if they don’t’. But even then social work is not about removing children; in the most, social work is about engaging families and making positive changes and is successful in doing this. It seems that nearly every day the storm that is front line child protection rages harder and harder. There appears to be no shelter from the relentless barrage of telephone calls, referrals, crisis and twists within family life. Everyday adult decisions impacting upon the most innocent and unprotected in our society, a comment that most may question, a point that makes me the most frustrated in my role as a social worker. Yes, Children’s legislation is well recorded and there is a lot, especially around child protection and children who are looked after. Yet, sometimes I have been left wondering whether in all of the storm to safeguard children do we really still see the child? In a world where everyone wants whats best, but what does this mean? is it what is best for them or for the child? There are some people who would like us to believe that the child protection system is broken, that children are not being safeguarded instead they are wrongfully removed to be forced into adoption. However, as much as the child protection system is blamed for its failings there continues to be a very real need for a system to be in place. In a society where adult needs continue to be placed in front of vulnerable children’s; child deaths will continue and continue and continue. Each time the system is blamed, failing are examined giving further fuel to both sides of the argument. But what worries me more is the attitude in scapegoating parents from blame that instead it is not their fault or societies. Instead attempts are made to accuse social workers of colluding with solicitors to remove innocent children from their parents. Stories fuelled by high profile MP’s and articles published in The Daily Telegraph, which lead to confusion and mistrust within society; creating tension and situations that may result in social care intervention where it might not have been needed. It is clear that the government has no intention of changing its views on spending cuts, it is also clear that its hard-line policies on benefits will also not change. I am sure that this storm will continue being fuelled in every direction by adult fears about their own feelings around children. And like others working within the eye of the storm the daily interventions become harder and harder. Battered and wind-swept once children are safeguarded the storm continues with no chance to finish the paper work, no chance to return the phone call before the next big wave comes in. This is where the system is broken leaving many social workers leaving, buckling under the weight of the storm and not being sheltered by the Local Authority that they work for or by the government that creates the legislation in which they work to. It is easy to be mislead into thinking that the aim of social work is simply to remove children, that this automatically solves all of the problems in the world. However, wouldn’t it be great if it did! but it does not solve the problems and is not the aim of social workers. So for those that campaign against social work please understand that social work and child protection is not this easy. That the threshold for removal is far higher than you think and as a social worker there have been far more positive interventions than there has been removals. That the numbers of cases that are being dealt with on a daily basis are being managed and managed well. This time next year we will be Millionaires! 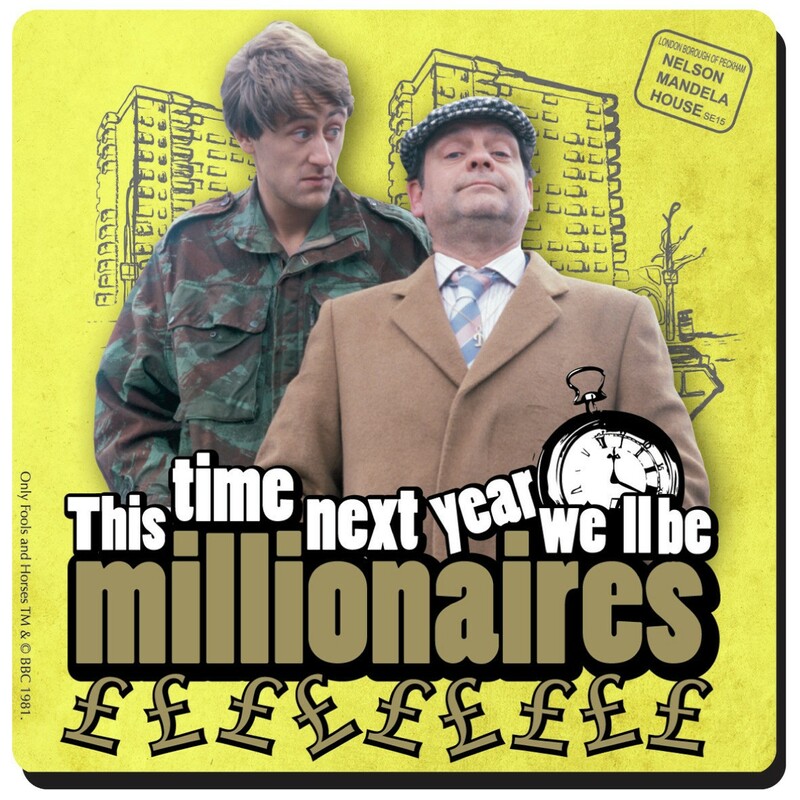 ‘This time next year we will be Millionaires Rodney’ (Only Fools and Horses). It’s a nice thought and one I often dreamt about. The joy of never having to worry about ‘How are we going to pay the bills?’ Or ‘Can I afford that top?’ Is one that brings joy to me. If only! However, increasingly there is growing concern that private companies are starting to increase in their profit from the care of vulnerable children. A big business where children with complex needs are being placed into ‘safe’ accommodation, which is not being run by the Local Authority. More concerning is that some of this provision when inspected by Ofsted is not achieving the inspection outcome of Excellent that should be required in order to provide this care. The question that has been asked is ‘Is it right to profit from the care of vulnerable children?’. The sensible answer is that we know that if a business is to be successful, it has to be profitable. But is this a sensible answer to care? I am sure David Cameron and his Tory colleagues would love to break down the perceived damaged and broken care system in order to profit from their private interests in private Health and Social Care issues. So I am glad that this is now being challenged. It is important that when children have been found a place to live that they are invested in, achieve the permanence that we all enjoy. That at the first fall, they are not rejected because the behaviour will cost too much money. That time, boundaries and care is going to be provided to break down the perceived image that children in care are worthless and all criminals. Or that deep down breaking the image that they are bad and naughty and that’s why they are in care. However, I have been able to visit a variety of residential homes that have been developed out of ‘City funding’ and the care and detail to the care that is provided has been outstanding. Starting with the ethos of the home and its workers to the commitment going above and beyond what is expected. On the down side I have also seen homes where proft has come at the expense of the young person and one I could not leave any child in. The difference is massive, as is the impact upon the young person and their outcomes in life and why this question is so important. It is not just Residential homes of course that make money from caring for children – Fostering agencies also profit as exposed by Children as Core Assetts. Although Children as Core Assetts goes further implying that Children are stolen in order to help certain individuals profit. I am sure a story that the Daily Telegraph and Christopher Booker would love to write! The real argument though should be the investment in an experienced workforce. Where workers leave consistently and frequently adding further pressure on caseloads and on the assessment process. Meaning support needed for families can not always be provided by and managed in the most appropriate way. The aim of ensuring children can remain within their family setting should be the main goal, reducing the need for external placements that drain the resources of local authorities further. Business, profit and social work are terms that do not sit comfortably together more so when it comes to the care of the most vulnerable people in our society. However, where individaul effort and thought can use the resources available to make a much needed difference in a young persons life, I can not argue with this concept. However, I can and will when it has the reverse impact on such vulnerable lives. Profit should not come before safegurding and profit should not come before a safe and warm living environment where the physical and emotional needs of a child can be met. I guess that means this time next year I wont be a millionaire then!